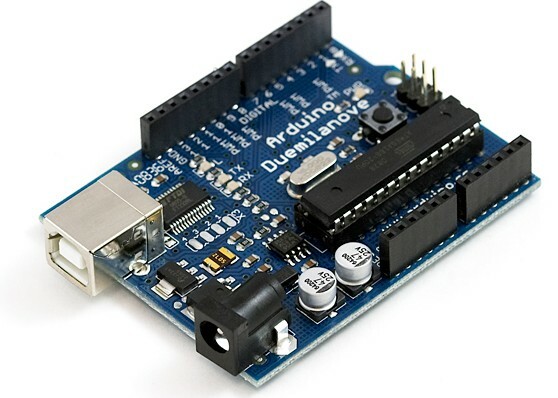 This is the new Arduino Duemilanove. The Duemilanove automatically selects the appropriate power supply (USB or external power). A great description of the new functionality can be found here (USB fuse protection, software reset, and much more!). Board comes fully assembled and tested with ATMega328 pre-loaded with bootloader. Please see the Arduino support forum for more information about this new board revision and bootloader.